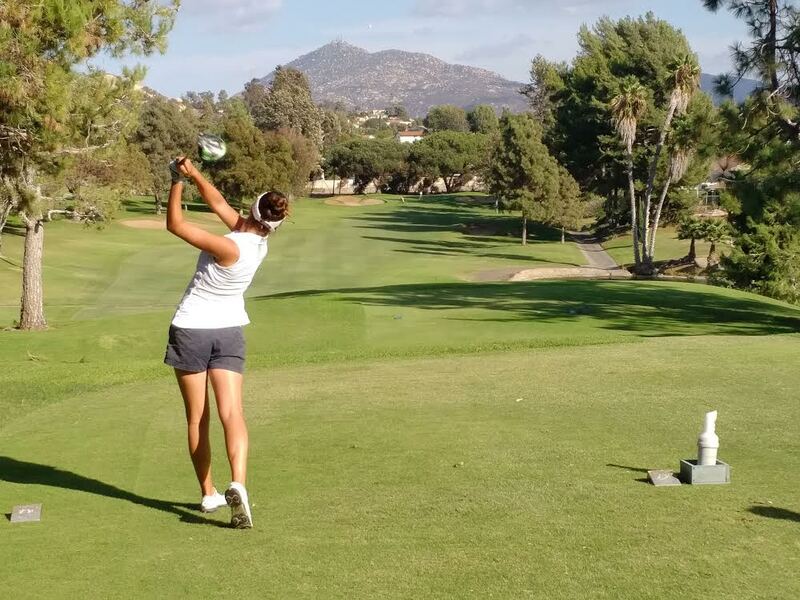 Junior Crista Izuzquiza drives the ball on a par-three hole at Balboa Golf Course. Crista Izuzquiza wins the City Conference Tournament. Last Monday, the Islander Golf team entered in the City Conference Tournament at Balboa Golf Course. Every year, teams from all over the San Diego Section enter players to play eighteen holes at Balboa. Junior Crista Izuzquiza, currently seeded No. 4 in CIF standings, made it past the first day, shooting 73 strokes (one above par), and placed fourth among Western and Eastern League teams. Coronado ranked fifth among all teams competing in the tournament. After the first day, the top sixteen players in the City Tournament moved on to match play at the Country Club of Rancho Bernardo. Izuzquiza won her hole-by-hole match play on Tuesday against the seven players on her side of the draw “1 up.” The following day, she won her match play by “4 and 3,” which meant she would play in the semi-final against last year’s champion Lauren Gomez. 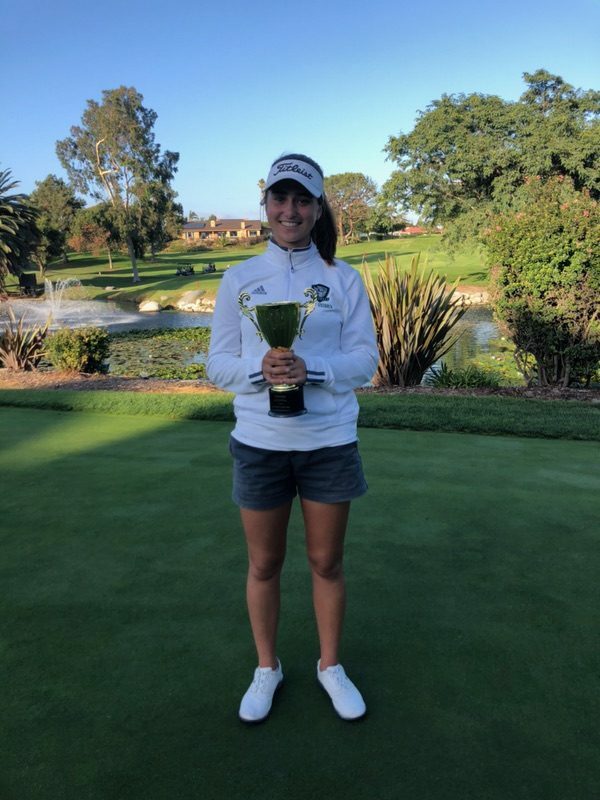 She won this match by “3 and 2,” and then moved onto the final to win the tournament by “3 and 2.” Izuzquiza was named City Conference Champion, which puts her in excellent standing for the CIF Tournament at the end of the month.